“Cross-examination is the greatest legal engine ever invented for the discovery of truth.” John H. Wigmore, quoted in Lilly v. Virginia (1999) 527 U.S. 116. The prosecutor, usually called the district attorney in California courts, but sometimes called the attorney general or city attorney generally calls friendly witnesses to testify against the accused. Friendly to the prosecutor not the accused. Most of the witnesses the prosecutor calls are police officers. In any event, most cops have the same agenda as the prosecutor, garner a conviction and put the bad guy in jail, prison, or put to death. Typically, the prosecutor will ask easy soft ball questions like “what did you see?” or “what did you do?” This style of questioning is called direct examination. Direct examination is completely different that cross examination. A prosecutor’s job is easier than a defense attorney generally. The prosecutor is seen as the good guy or good girl, wearing the white hat. Questions the prosecutor asks the police are meant to allow the police to narrate the prosecution’s theory. Police have special training in how to testify, which oftentimes is taught by the prosecutor. It is extremely rare if ever, that a prosecutor will challenge the police or other witnesses with hard questions to expose inconsistencies. An experienced criminal defense attorney, like Tai C. Bogan, and the attorneys with The Bogan Law Firm, A Professional Corporation have cross examined thousands of witnesses, police officers and others. The purpose of the cross examination is to challenge a witness’s account, their story, their credibility. It is used to expose liars and those with an agenda. A prosecutor doesn’t generally have the experience to be an effective cross examiner. The rare former prosecutor who is good at cross examination most likely learned that while being a defense attorney and not a prosecutor. Are Former Prosecutors Better Attorneys Than Life Long Defense Attorneys? Tai C. Bogan, and the attorneys at The Bogan Law Firm, A Professional Corporation are familiar with the work product and abilities of both former prosecutors and life-long defense attorneys. Bottom line is that there are some excellent former prosecutors and excellent life-long defense attorneys. On the other hand, there are terrible ones too, on both sides. The good former prosecutors got good by defending people not prosecuting them. Prosecutors will typically make friends with the police. After they become defense attorneys, they remain friends with the police. Depending on the case, you might need someone who is buddies with the cops and former prosecutors. However, most of the time, a person accused of a crime wants someone who will fight for them. It is would be difficult for a defense attorney to fight against their own friends, other prosecutors and cops whom they still associate with. Would a former prosecutor be comfortable tearing into a witness, or objecting to a prosecutor’s tactics, and going to that prosecutor’s or cop’s house for dinner? Not likely. Tai C. Bogan, with The Bogan Law Firm, A Professional Corporation, has never been a prosecutor. He has never argued to put an accused in jail or to be put to death. Prosecutors are conditioned to hate the accused. Defense attorneys are conditioned to protect the accused. There are a fundamental differences between defense attorneys and prosecutors. If you are accused of a crime, you should find the best defender for your case. Do not choose an attorney because they used to be buddies or are still buddies with the prosecution office. 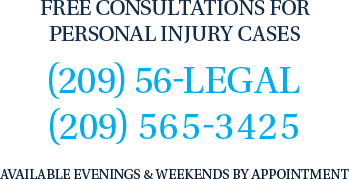 Call to speak to an aggressive criminal defense attorney today with The Bogan Law Firm, A Professional Corporation at 209-565-3425.